Claim VICTORY: Gold’s NEXT Move! My broker asked me yesterday where in the business cycle my research tells me we are. He wanted specifics, so today’s letter is essentially what I communicated to him, but in broad detail. It is absolutely necessary – in fact, it’s a prerequisite for success, to understand where we find ourselves in 2018 and what the next ten years hold for us. Millions of investors think stocks “ought” to go lower by 50% or more. Data researchers, being interviewed by CNBC and selling millions of copies of their books predict the stock market will fall back to 1999 levels (a full 75% nosedive), but that is far from reality. I am an eternal optimist, which does not mean that I’m a permanent bull, but it does mean that I believe in the human potential. 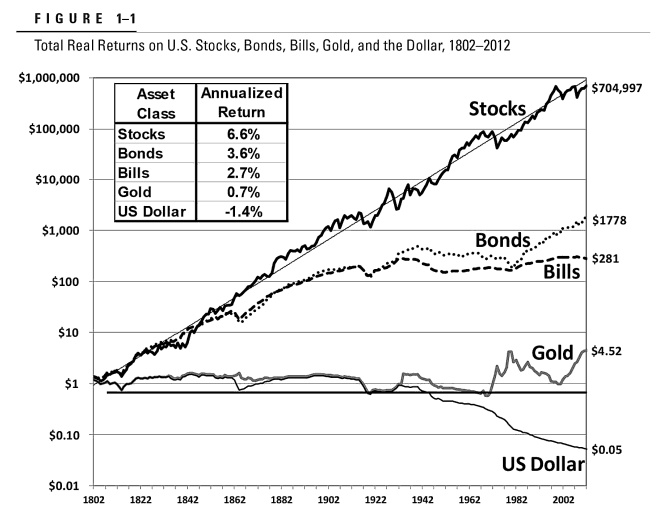 Businesses, which are well-run, outperform all other asset classes by light years. Put differently, the trajectory is always towards the betterment of life, wealth generation, and improved conditions, but the direction isn’t a straight line at all. While holding a basket of the world’s best businesses is, without a doubt, the surest way to become more prosperous via investments, the path is filled with temporary obstacles. These are the business cycles, and a smart investor respects them. To give you an example of the importance of cycles, consider that Warren Buffett didn’t make any significant investments for extended periods of time, when stocks were expensive. 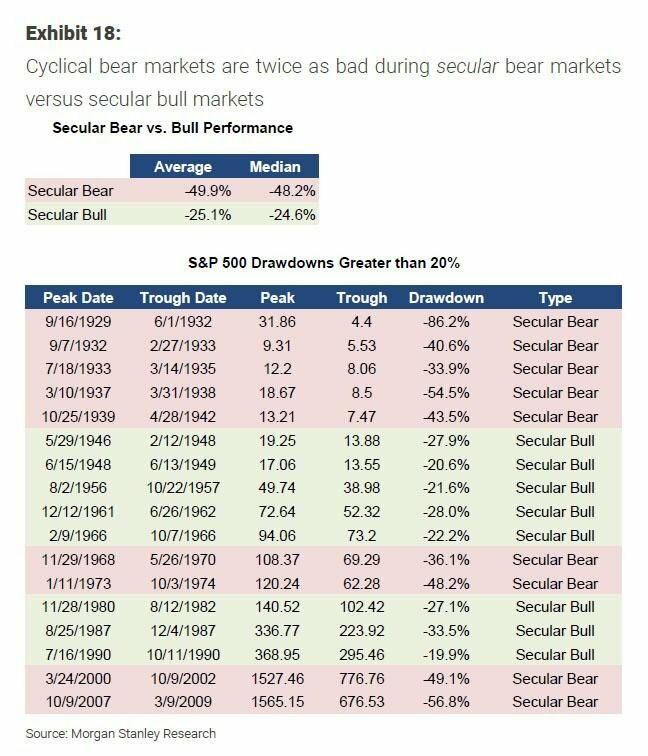 The most confusing element of investing is understanding the difference between secular bull and bear markets and cyclical bull and bear markets. The greatest investors are always cognizant of this, and the worst investors pay no regard to it and make predictions, based on the wrong premises. Let’s start with secular markets first. These are dominated by fundamentals that could be in place for many years, causing the price of asset classes to rise or fall over an extended period of time. In a secular bull market, strong positive conditions, such as low-interest rates and healthy corporate earnings bring more buyers than sellers and prices advance. In a secular bear market, we see weak corporate results, demographic conditions that lead to inflation or stagnation, which cause sellers to outpace buyers. A cyclical market, in contrast, is much shorter in duration in its peaks to bottom trading. We’ve been in a bull market due to central banks’ actions, specifically the monetization of currency units, deleveraging debt levels for financial institutions and low inflation rates, since 2009, but increasingly since 2011. The two great secular bull markets of the 20th century were, of course, the 1942 to 1965 post-war era and the 1980 to 2000 baby-boomers driven phase, which made most of today’s billionaires. Within these periods, there were shorter cycles, cyclical markets. The average cyclical bull or bear market lasts about 18 months; therefore, they are incredibly confusing for investors. If the S&P 500 trades down from here, until the end of 2019, most investors would begin shorting the market, anticipating further sell-offs, but then the cyclical bear can end, and the secular bull can return. As the chart above clearly illustrates, the long periods of secular markets, found by Nikolai Kondratiev, which are now called “Kondratiev Waves,” there are shorter cycles. The conditions, which exist today, have made it possible for a secular bull market to exist. Just like in the 1980s, most investors are not participating in it. They only began to truly put funds at risk in the 90s. Similarly, most millennials have yet to ever own stock and will only start to invest in 5-7 years. So, for the next two years, a cyclical bear market is about to begin, as new buyers are not joining the stock market right now. This means that we have a two-year window, where commodities will outperform U.S. equities, just like we saw for several months during 2016, and it is go-time. After nine years of a cyclical bull market within the secular bull market, a cyclical bear is about to commence. Rising interest rates, higher inflation levels, and record low unemployment rates are over-heating the economy – these are ripe conditions for investors to diversify into commodities, which they will. Commodities could become the best-performing asset class, then. Timing cycles is incredibly difficult, which is why being early is preferable to being late, if you can stomach the pain that comes with lower stock prices, but the bottom might be in. First Mining Gold (TSX: FF & US: FFMGF) was just covered by two top analysts, giving the company price targets of CAD$1.30 and CAD$1.40, which are three-times greater than today’s price. Yesterday, First Mining Gold was the second best-performing stock on the Toronto exchange! Gold is headed higher – it’s time.